The Jelly Comb Mini wireless is an amazing, portable and thin keyboard for your HTPC. 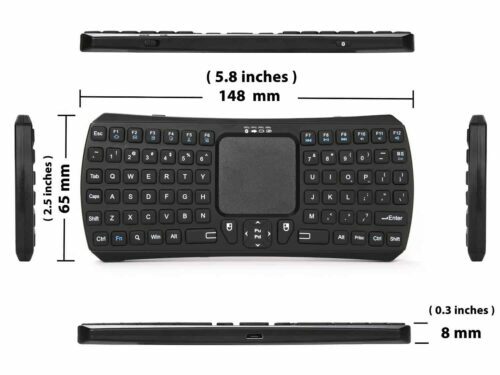 When purchasing small wireless keyboards for HTPC, their main selling point is, of course, the price. Inexpensive beauties that allow you to control your media, even with air mouse capabilities such as the Lynec C120 air mouse. There is, of course, space for power users and people with more demanding needs -those will be happy with an HTPC keyboard such as the Logitech K400 Plus-, but these higher-end keyboards often have a higher price as well. 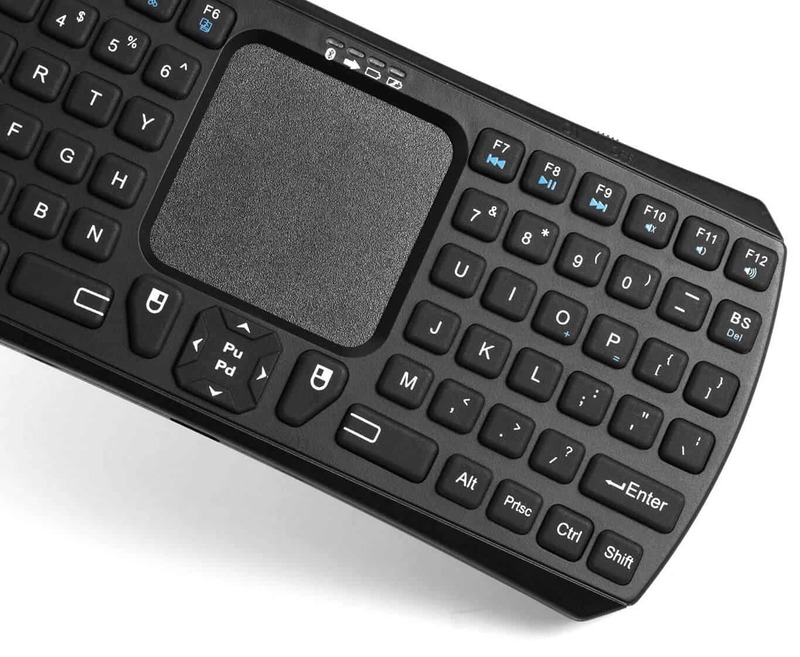 If you don't need such a keyboard, but still want to perform searches and input text on your HTPC, then keep reading this Jelly Comb Mini review, and see for yourself if it suits your needs. The Jelly Comb Mini fits nicely in your hands and provides a comfortable typing experience, despite being a split keyboard. 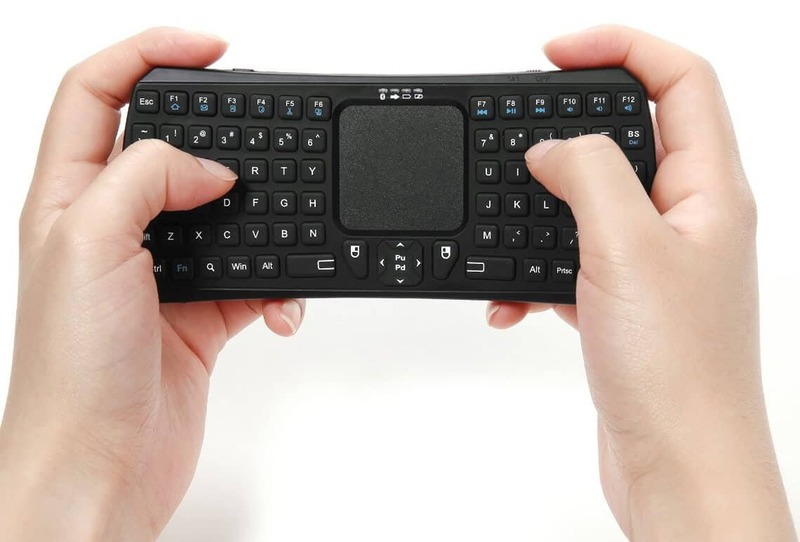 As you can see, this keyboard has quite a good range provided by its Bluetooth 3.0 connection, which, together with its small size and elegant design makes it convenient and portable enough to be carried anywhere you need it. As it's usual with these small devices, the battery lasts quite a long time, and it is rechargeable via microUSB port, which is always welcome, because these are the most common charging ports in hardware. In our Jelly Comb Mini review we noticed the box for this device already includes a USB to microUSB cable, which you can plug into any USB port to charge your keyboard battery. Jelly Comb Mini review: Would you recommend this keyboard? A split spacebar, sensitive touchpad, mouse click buttons and LED indicators are part of what the Jelly Comb Mini brings to your living room setup. When analyzing these small keyboards it's always nice to see features included beyond the typical “type and point” offered by most competitors. 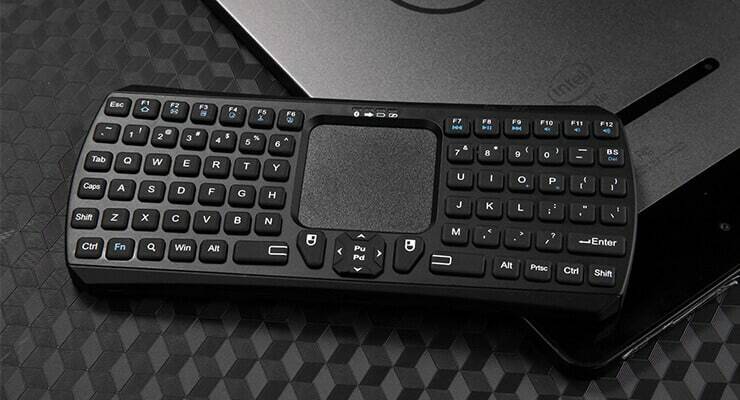 In this case, the presence of function keys and Win key, as well as the comfortable design in aspects like the spacebar, make this little keyboard and mouse combo stand out and become a neat addition to any HTPC setup, for anyone who wants to add comfort to their experience with software such as Kodi for Windows and plugins picked from our lists such as the 10 best movie addons for Kodi or the top 10 live TV addons for Kodi. The initial shock of seeing such an unconventional shape that looks -at first sight- uncomfortable to type on, is dissipated once we go deeper in this Jelly Comb Mini review, and in the end this small piece of hardware shines -as do its little yet useful notification LEDs- with a light of its own. How to install Kodi on Fire TV without adb and computer?